The surname Custer is German (or Teutonic) in Origin. The English translation of the name is "a sacristan" - a sacristan being the keeper of sacred utensils/objects in the church. One of our ancestors must have at one time held this office in the Catholic church. We have been able to trace our Custer family to the 16th Century, when they were living in the Rhineland area of Germany. It seems that in Germany the name was spelled closer to Kuster or Kusters. I descend from this family in two different ways (my ggg-grandparents were fourth cousins) and have included both of my Custer lines on this page. Olulus Kusters was born circa 1510 in Kaldenkirchen, Germany. Reiner Kusters was born circa 1542 in Kaldenkirchen, Germany. He died on June 3, 1616 in Kaldenkirchen, Germany. Johannes Kusters was born about 1576 in Kaldenkirchen, Germany. He died on April 8, 1660 in Kaldenkirchen, Germany. He was married to a Miss Walburgis in about 1598 in Kaldenkirchen. They had children: Hermanus, Aret (see next generation), Judt, Metgen, Lambertin, Godefried, Maria, Reiner, and Catherina. Johannes died on April 8, 1660 in Kaldenkirchen, Germany. Johannes was a member of the Catholic Church. He was a bailiff. He married to Miss Walburgis in about 1598 in Kaldenkirchen, Germany. Arnold "Aret" Kuster was born on September 18, 1608 in Kaldenkirchen, Rhineland, Germany. He died on November 24, 1679 in Kaldenkirchen, Germany. He was married to Catherina Von Haren on October 13, 1629 in Kaldenkirchen, Germany. They had children: Maria, Johannes, Henricus, Catherina, Mathias, Lambertus, Paulus (see next generation), and Lucia. Arnold died on November 24, 1679 in Kaldenkirchen, Germany. He was a Roman Catholic. He married Catherina Von Haren on October 13, 1629 in Kaldenkirchen, Germany. She was born circa 1605 in Germany and died November 15, 1686 in Kaldenkirchen, Germany. 1 Maria Kuster was born on July 21, 1630. 2 Johannes Kuster was born in May 1632. 3 Henricus Kuster was born on May 26, 1635. 4 Catherina Kuster was born on May 17, 1637. 5 Matthias Kuster was born in June 1640. 6 Lambertus Kuster was born on September 17, 1642. 8 Lucia Kuster was born on February 14, 1648/9. Paulus Kuster was born in Kaldenkirchen, Rhineland, Germany circa 1643. He died in January or February 1707/8 in Germantown, Philadelphia Co., Pennsylvania. Paulus was married to Gertrude Doors on October 16, 1668 at the Reformed Church in Kaldenkirchen, Germany. In Kaldenkirchen they had 4 children: Arnold (see next generation), Johannes, Matthys, and Renier. In about 1675, the family moved to Crefeld, soon after which they became Mennonites, a religion heavily persecuted by the government. In Crefeld they had children: Hermanus, Margaret, Elizabeth, and Eva. Paulus and his family probably came to the new world out of economic and religious need. It was said that William Penn visited Crefeld, Germany and told its citizens of America as a land of religious freedom. This along with the fact that Paulusï¿½ brother-in-law lived there, were enough to make them move. Paulus and his family were among the 28 other families that arrived in Pennsylvania in 1684 and settled the town of Germantown, near Philadelphia. Paulus was a member of the Mennonite Church in Germantown. He was a farmer and a mason by occupation and died between January 28 and February 23, 1707-8 in Germantown, Philadelphia County, Pennsylvania. His wife Gertrude died soon after. Paulus was married to Gertrude Doors on October 16, 1668 in Kaldenkirchen, Germany. She was born circa 1645 in Kaldenkirchen, Germany and died circa 1708 in Germantown, Philadelphia Co., Pennsylvania. 2 Johannes Kuster was born on December 12, 1670 in Kaldenkirchen, Germany. He died circa 1708. He was married to Elizabeth Cassell on September 30, 1692. 3 Matthias Kuster was born on June 12, 1671 in Kaldenkirchen, Germany. 4 Reiner Kuster was born on February 12, 1673/4 in Kaldenkirchen, Germany. 5 Anna Kuster was born on December 26, 1677 in Kaldenkirchen, Germany. 6 Hermanus Kuster was born on October 16, 1681 in Germany. He died circa 1760. He married Isabella Conrad in 1706. 7 Catrin Kuster was born on March 9, 1686/7. 8 Eva Kuster was born circa 1688. 9 Margaret Kuster was born circa 1690. Arnold (Arets) Custer was born before September 6, 1669 (the date he was baptized) in Kaldenkirchen, Rhineland, Germany. He died in 1739 in Hanover Twp., Montgomery Co., Pennsylvania. When Arnold was around 6 years old, he moved with his family to Crefeld, Germany, and from there, they moved to Pennsylvania in 1684. Arnold was married 1st to a woman whose name is not known, by whom he had one son, Conrad. Afterwards, Arnold married a woman named Rebecca (maiden name possibly Nuzam). They had 7 children: Katherine, George (see next generation), Nicholas, Paul (see next generation), Arnold, Dorothy, and Hannah. Arnold was a bricklayer by trade and was also one of the most active members of the Mennonite church. The Mennonites were pacifists, meaning they didnï¿½t bear arms or baptize their children, among other things. Arnold and his wife were of low origins and probably didnï¿½t speak much English, but they made sure that their children could read and write English. Arnold moved to Hanover Township, Philadelphia County, PA, where he died in 1739. His wife preceded him in death. Arnold married first to Gertrut Conrads on June 24, 1691 in Krefeld, Germany. She was born circa 1670 and died before 1699. 1 Conrad Custer was born circa 1695 in Germantown, Philadelphia Co., Pennsylvania. He died on February 1, 1772 in Rockingham Co., Virginia. He was married to Susannah Adams. Arnold married second to Rebecca in about 1699 in Philadelphia Co., Pennsylvania. She was born circa 1671 and died before 1739. 1 Katherine Custer was born circa 1698 in Pennsylvania. She married John Jenkins. 3 Nicholas Custer was born on December 4, 1706 in Philadelphia, Pennsylvania. He died in 1784. He was married to Susanna Hoppe. 5 Hannah Custer was born circa 1715. 6 Arnold Custer was born circa 1720. He married to Barbara. 7 Dorothy Custer was born circa 1724. George Custer was born circa 1705 in Germantown, Philadelphia County, Pennsylvania. He died on November 1, 1755 in Northampton Co., Pennsylvania. He was married to Mary Rhodes on June 23, 1730-1 in Christï¿½s Church, Philadelphia, PA. They had 9 children: John, George, Joseph, Hannah, Samuel, Rebecca, Martha, Mary, and William (see next generation). George moved with his family first to Bucks County, and then to Northampton County, Pennsylvania. George was said to have been killed by Indians in late 1756 after having fled his home in Northampton County, Pennsylvania. After his death, his wife Mary was married to William Thomas. George was married to Mary Rhodes on June 28, 1731 at Christ's Church in Philadelphia, Philadelphia Co., Pennsylvania. She was born circa 1710 in Pennsylvania and died after 1757. 2 Joseph Custer was born on May 1, 1751. He died on January 12, 1807. He was married to Amelia Foulke. 3 Hannah Custer was married to Jesse Thomas. 4 Mary Custer died in 1822 in Philadelphia, Pennsylvania. 5 Samuel Custer died before 1780. He was married to Elizabeth. 6 John Custer was married to Ann Thomas on August 20, 1760 in Philadelphia, Pennsylvania. 7 Rebecca Custer married to Mr. Holben. 8 George Custer died in 1813 in Northampton Co., Pennsylvania. He married Maria. 9 Martha Custer married Mr. Thomas. Paul Custer was born circa 1710 in Philadelphia County, Pennsylvania, in a part that is now Montgomery County. He died on November 10, 1783 in Montgomery Co., Pennsylvania. Paul was married in about 1733 to Sarah Martha Ball, niece of Mary Rhodes (listed above). Paul and Sarah were the parents of 5 children: Jonathan (see next generation), John, William, George, and Nicholas. Paul was a Mennonite in early life and became a Lutheran before his death. He died on November 10, 1783 in Montgomery County, Pennsylvania. His wife died in 1779. He was married to Sarah Martha Ball in about 1733. She was born on October 20, 1712 in Plymouth Twp., Montgomery Co., Pennsylvania. She died on December 10, 1779 in Montgomery Co., Pennsylvania. 2 William Custer was born February 12, 1739/40. 3 George Custer was born December 15, 1744. 4 Nicholas Custer was born in 1746. 5 Paul Custer was born on December 1, 1747. William Custer was born circa 1731 in Pennsylvania, probably Philadelphia County. He died circa 1786. After his fatherï¿½s murder in 1756, he was said to have been adopted by his uncle Conrad Custer along with his siblings and a variety of other Custer relatives. Soon after that, he crossed the Allegheny Mountains and moved to the Shenandoah Valley, Virginia, where he was married to a woman probably named Mary, in about 1753. They had children: Arnold (see next generation), William, Polly, and possibly more children. William joined the militia to fight in the French and Indian War (or 7 years war) in the 1750ï¿½s. It is said that one time while William was away fighting, his wife was captured by Indians and taken to Canada where she was held prisoner with other whites. Mrs. Custer was said to have been held captive for 20 years, and was bought by a French doctor who released her. After her release she went home to find her family, meanwhile, her husband went out to find her, but died along the way, somewhere between Virginia and Pennsylvania, this was in about 1786. Mrs. Custer survived until about 1791. William married to name unknown by the 1750's. She died circa 1791 in Kentucky. Jonathan Custer was born on October 4, 1738 in Montgomery County, Pennsylvania. He died before November 13, 1823 in Amity Twp., Berks Co., Pennsylvania. Jonathan was married to Hannah Peters Kendall in about 1759 in Montgomery County, Pennsylvania. They lived there they had 5 children: Peter, Hannah, Benjamin (see next generation), Jonathan, and George. Jonathan moved with his family to Berks County, Pennsylvania. He died before November 13, 1823 in Amityville, Berks Co., PA. He married Hannah Peters circa 1759 in Montgomery Co., Pennsylvania. She was born circa 1735 and died in 1805 in Amity Twp., Berks Co., Pennsylvania. Arnold Custer was born on April 29, 1755 in the Shenandoah Valley, Virginia. He died on May 14, 1840 in Monroe Twp., Jefferson Co., Indiana 25. When Arnold was about 10 years old, his mother was kidnapped by Indians and held captive for nearly 20 years. When Arnold grew to adulthood, he moved west to Kentucky. Before moving to Kentucky, Arnold served in the Revolutionary War as a private in the Virginia troops. Arnold probably first went to Clark County, Kentucky, where he married Elizabeth Scholl, relative of Daniel Boone, in about 1788. Arnold and Elizabeth had 11 children: Ruel, William, Sarah, James (see next generation), Polly, Jesse, Rachel, Elizabeth, Arnold, Elijah and Isaac. Arnold and his family also lived in Fayette and Barren County, Kentucky. Arnold was a Lieutenant in the 10th Kentucky Regiment in 1792. In the early 1800's, Arnold lost his land in Kentucky twice and decided to move to Indiana. It was the year 1814, when Arnold and his family came to Jefferson County, Indiana and settled near Madison. Arnold and his family were Baptists. His wife died in 1825 and he died on May 14, 1840 at his farm in Monroe Township, Jefferson County, Indiana. He was buried in the Hebron Baptist Cemetery, Jefferson County, Indiana. Arnold married Elizabeth Scholl circa 1790 in Clark Co., Kentucky. She was born circa 1755 and died on June 10, 1825 in Monroe Twp., Jefferson Co., Indiana. 1 Reuel Custer was born on October 7, 1790 in Fayette Co., Kentucky 20. He died on August 9, 1880 in Monroe Twp., Jefferson Co., Indiana 20. He married Martha Allen on October 31, 1816 in Barren Co., Kentucky. 2 William Arnold Custer was born on September 6, 1792 in Fayette Co., Kentucky. He died on October 22, 1881 in Decatur Co., Indiana. He married Sally Downer on May 4, 1820 in Jefferson Co., Indiana. 3 Sarah Custer was born on September 5, 1794 in Fayette Co., Kentucky. She died after 1840 in Franklin Co., Kentucky. She married first James Fielding on February 15, 1813 in Barren Co., Kentucky 16. She married second Matthew Robertson. 5 Polly Custer was born on April 28, 1798 in Fayette Co., Kentucky. 6 Jesse Custer was born on April 25, 1800 in Fayette Co., Kentucky. He died on February 16, 1885 in Bryantsburg, Jefferson Co., Indiana. He married Nancy Spurgin on April 1, 1830 in Jefferson Co., Indiana. 7 Rachel Custer was born on October 15, 1802 in Fayette Co., Kentucky. She died on February 19, 1874 in Jefferson Twp., Boone Co., Indiana. She married Gidian Jackson on June 10, 1819 in Jefferson Co., Indiana. 8 Elizabeth Custer was born on October 5, 1805 in Kentucky. She died on June 14, 1860 in Jefferson Co., Indiana 20. She married John Denny on January 7, 1828 in Jefferson Co., Indiana. 9 Arnold Custer was born on March 2, 1808 in Kentucky. He died in 1887 in Jefferson Co., Indiana 20. He married first Leannah Moore on April 17, 1831 in Jefferson Co., Indiana. He married second Malinda Jane New on May 11, 1839 in Jefferson Co., Indiana. 10 Elijah Custer was born on January 8, 1810 in Kentucky. He died in 1825. 11 Isaac Custer was born on September 10, 1814 in Jefferson Co., Indiana. He died before 1896. He married Maria Felter on October 1, 1840 in Jefferson Co., Indiana. Benjamin Custer was born on April 17, 1763 in Upper Providence Township, Montgomery County, Pennsylvania. He died on January 5, 1832 in Jefferson Co., Virginia (now West Virginia). Benjamin moved with his family to Berks County, Pennsylvania in his youth. He was there married to Margaret Bell on October 26, 1796. He and Margaret had 6 children: Samuel, Isaiah (see next generation), Charles, Hannah, Mary and William. Sometime after about 1800, Benjamin moved with his family to Virginia, where they first settled in Berkeley County. He afterwards moved to Jefferson County, Virginia, where he died on January 5, 1832. The area of Virginia that Benjamin lived in was what became West Virginia. Benjamin married Margaret Bell on October 26, 1796 in Amity Twp., Berks Co., Pennsylvania. She was born circa 1780 in Amity Twp., Berks Co., Pennsylvania 15. She died after 1850. Many of Margaret's ancestors were Swedish. They were also English and German. She was last found living with her daughter Hannah in 1850 in what is now Berkeley County, West Virginia. She probably died prior to the 1860 census, when she was not enumerated with any of her children. Since Hannah died in 1850, and Margaret was apparently not buried next to her; I'm guessing that Margaret left to go live with one of her other children, perhaps in Pleasants or Jefferson County, West Virginia. They had 4 children: Randolph, Rebecca, Mary C., and Almira Custer. They had 5 children: Margaret, John, Ann E., Andrew J., and Mary E. Seckman. They are both buried in the Hart-Seckman Cemetery, Pleasants Co., West Virginia. They had 5 children: Frances A., William, Alton, Charles, and Caroline Custer. 5 Hannah Custer was born in February 1809 in Amity Twp., Berks Co., Pennsylvania. She died on August 24, 1850 in Berkeley Co., Virginia (now West Virginia). She married Colbert Holliday on August 12, 1830 in Berkeley Co., Virginia (now West Virginia). (He was born on June 18, 1807 in Virginia and died in 1852 in Berkeley Co., Virginia (now West Virginia). 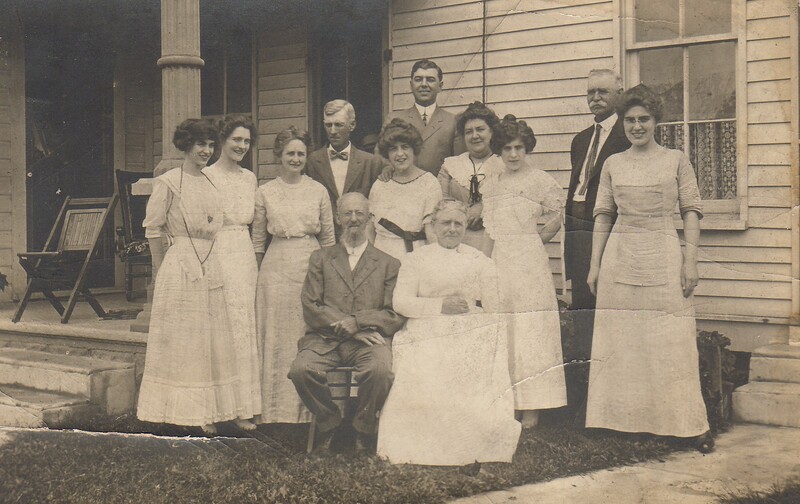 They had 9 children: William D., George F., Margaret A., Mary C., Elizabeth, Charles T., Benjamin H., Marion and David C. Holliday. 6 William B. Custer was born circa 1812 in Berkeley Co., Virginia (now West Virginia). He died in 1858. He married Ann Morgan on December 19, 1843 in Jefferson Co., Indiana 14. James Custer was born on December 15, 1796 near Lafayette, in Fayette County, Kentucky 16,20,26. He died on July 10, 1887 in Monroe Twp., Jefferson Co., Indiana 16,20,26. He is buried in the Hebron Baptist Church Cemetery, Monroe Twp., Jefferson Co., Indiana. In 1814, James moved with his family to Jefferson County, Indiana. James was a farmer. There is a surviving letter written by him in 1880 in which he gives an account of his youth and when he nearly married an Indian woman. Eventually James bought 160 acres of land in Monroe Township, Jefferson County, Indiana, where he apparently lived until his death. He and his family were members of the Hebron Baptist Church. James married Catherine Ross on February 26, 1828 in Monroe Twp., Jefferson Co., Indiana 14,16. 2 Arnold Custer was born on February 27, 1830 in Monroe Twp., Jefferson Co. Indiana 16. He died on November 25, 1852 16. 3 Samuel Custer was born on February 27, 1830 in Monroe Twp., Jefferson Co., Indiana 20. He died on March 12, 1913 in Jefferson Twp., Boone Co., Indiana 20. He is buried in the Hebron Baptist Church Cemetery, Monroe Twp., Jefferson Co., Indiana. He was a lawyer. He and his wife are both buried in the Hebron Baptist Church Cemetery, Jefferson Co., Indiana. 4 Isom Newton Custer was born on July 17, 1831 in Monroe Twp., Jefferson Co., Indiana 16. He died on August 26, 1854 16. 5 James Marshall Custer was born on December 10, 1832 in Monroe Twp., Jefferson Co., Indiana 16. He died on September 7, 1855 in Monroe Twp. Jefferson Co., Indiana 20. He is buried in the Hebron Baptist Church Cemetery, Monroe Twp., Jefferson Co., Indiana. 6 Jesse Custer was born on April 6, 1833 in Monroe Twp., Jefferson Co., Indiana 12. He died on June 14, 1879 in Thorntown, Boone Co., Indiana 12. He is buried in the Cox Cemetery, Jefferson Twp., Boone Co., Indiana. Jesse served in the Civil War out of Boone Co., Indiana. He and Mary had no children. 7 Nancy Ellen Custer was born on September 11, 1835 in Monroe Twp., Jefferson Co., Indiana 16. She died on November 9, 1918 in Canton, Stark Co., Ohio 28. She is buried in the Cline Cemetery, Royal Center, Cass Co., Indiana. In 1860, they were in Ripley Co., Indiana. In 1870 they were in Fulton Co., Indiana and they were in Cass Co., Indiana in 1880. 8 Elizabeth Custer was born on May 12, 1837 in Monroe Twp., Jefferson Co., Indiana 16. She died on April 17, 1848 in Monroe Twp., Jefferson Co., Indiana 20. She is buried in the Hebron Baptist Church Cemetery, Jefferson Co., Indiana. Her tombstone indicates she actually was born in about 1847. 9 Martha Ann Custer was born on February 4, 1839 in Monroe Twp., Jefferson Co., Indiana 16. She died circa 1920. By 1870, they are living in Muncie, Indiana and by 1887 in Indianapolis, Indiana. In 1900, Martha was living with her daughter in New York City, NY. In 1910, she was living with a niece in Franklin, Indiana. 10 Sarah Custer was born on November 30, 1841 in Monroe Twp., Jefferson Co., Indiana 16. She died on July 22, 1911 in Normal, McLean Co., Illinois 16. She is buried in the Evergreen Memorial Cemetery, Bloomington, McLean Co., Illinois. In 1870, Sarah was living with her family in Menard County, Illinois. Sometime during the 1870s, they moved to McLean County, Illinois, where they remained. Sarah's five children all lived to adulthood, but none of them ever married or had children. 11 Hannah Custer was born on September 20, 1843 in Monroe Twp., Jefferson Co., Indiana 20. She died on November 30, 1898 in Shelby Twp., Ripley Co., Indiana 20. She is buried in the Herbon Baptist Church Cemetery, Jefferson Co., Indiana. 12 Catherine Custer was born on February 8, 1845 in Monroe Twp., Jefferson Co., Indiana 16. She died on March 17, 1845 in Monroe Twp., Jefferson Co., Indiana 20. She is buried in the Hebron Baptist Church Cemetery, Jefferson Co., Indiana. Her tombstone indicates that she was born in about 1843. 13 William Taylor Custer was born on January 6, 1848 in Monroe Twp., Jefferson Co., Indiana 16. He died on November 21, 1881 in McLean Co., Illinois. He is buried in the Evergreen Memorial Cemetery, Bloomington, McLean Co., Illinois. Isaiah Custer was born on December 10, 1798 20 or June 10, 1799 22 in Amity Twp., Berks Co., Pennsylvania . He died on August 17, 1862 in Shelby Twp., Ripley Co., Indiana 20. When Isaiah was a young man, he moved with his family to Virginia, where they settled in Jefferson County, which is now in West Virginia. Isaiah was married to Elizabeth Seilhammer on June 5, 1825 in Berkeley County, Virginia. Isaiah and Elizabeth had 7 children: Charles (see next generation), John, Ellen, George, Levi, Mary, and Henry. Isaiah was a farmer and lived with his family in Virginia for only a few years. In about 1830, he moved with his family to Montgomery County, Ohio. He stayed there for no more than about 10 years. In about 1837, Isaiah moved once more with his family, this time they settled down in Ripley County, Indiana. Isaiah was a Baptist with his family and he died on August 17, 1862 at his farm in Shelby Township, Ripley County, Indiana. He was buried in the Hebron Baptist Church, Jefferson Co., IN. Isaiah married Elizabeth Salehamer on June 5, 1825 in Berkeley Co., Virginia (now West Virginia) 21. 2 John William Custer was born on March 27, 1829 in Berkeley Co., Virginia (now West Virginia) 17. He died on August 25, 1901 in Summitville, Madison Co., Indiana 17. 3 Ellen Jane Custer was born on July 23, 1830 32 probably in Seneca Co., Ohio. She died on November 15, 1899 in Whiteland, Johnson Co., Indiana 18,31,32. She is buried in the Greenlawn Cemetery, Franklin Co., Indiana. 4 Levi Custer was born on March 3, 1833 in Ohio. He died on January 30, 1913 in Marble Corner, Ripley Co., Indiana. George and Comfort had 5 children: Ida, Ellen, John, Joseph H., and George E. Custer. They are both buried in the Forestville Cemetery, Madison Co., Indiana. 6 Mary Elizabeth Custer was born on December 24, 1838 in Shelby Twp., Ripley Co., Indiana 20. She died on April 19, 1919 in Indiana 31. Mary married first James I. McCarty on January 10, 1864 in Ripley Co., Indiana 19. (He was born on March 31, 1827 in Indiana 20 and died on October 4, 1903 in Shelby Twp., Ripley Co., Indiana). Mary had no children, but they had one adopted son: Charles McCarty. She married second to William Jackson in about 1908. Mary Jane Custer was born on January 14, 1829 in Monroe Township, Jefferson County, Indiana 12,16. She died on August 24 12 or 25 5,16, 1878 in Jefferson Twp., Boone Co., Indiana. She is buried in the Cox Cemetery, Jefferson Twp., Boone Co., Indiana. Mary was raised in rural Jefferson County, Indiana. As the oldest in a family of 13, Mary must have surely had many childhood responsibilities. She and her family were also members of the Hebron Baptist Church in Monroe Township. In about 1837, a family named Custer settled just over the county and township line in Ripley County, Indiana. Eventually, Mary Custer became engaged to Charles Custer from this family, her fourth cousin. Mary and Charles Custer were married in 1851 in Jefferson County, Indiana. They remained there until sometime during the 1860's, when they moved to Boone County, Indiana. In Boone County, they lived in Jefferson Township and also perhaps in Thorntown. She married Charles H. Custer on January 16, 1851 in Monroe Twp., Jefferson Co., Indiana 14. Charles H. Custer was born on January 10, 1826 5,11 or January 11, 1826 31. He died on August 7, 1903 in Lebanon, Boone Co., Indiana 5,11,12,13,31. He is buried in the Cox Cemetery, Jefferson Twp., Boone Co., Indiana. Charles spent the first part of his life in what is now northeast West Virginia, just over the river from Maryland. In about 1830, he moved with his family to Ohio, where they lived in both Seneca and Montgomery Counties. In about 1836, the family moved to Ripley County, Indiana where they remained. The Custers lived in southern Ripley County, but apparently had more of a civic and religious presence in neighboring Jefferson County, Indiana. Charles and his family were apparently members of the Hebron Baptist Church in Jefferson County. Charles and his family also became acquainted with another Custer family that lived in Jefferson County. Eventually, he became engaged to Mary Custer, his fourth cousin. They were married in 1851. Charles was a carpenter and also made a living as a farmer. He and Mary lived in Jefferson County, where they had 2 sons. In 1862, Charles enlisted in the Militia, although he never actually served in the military. In 1868, Charles moved with his family north to Boone County, Indiana, where they settled near Thorntown in Jefferson Township. Mary died there on August 25, 1878. In the 1878 Boone County Land Atlas, Charles is listed with 40 acres of land in Section 25 of Jefferson Township. This land was the in the east-central part of the township, about halfway between Dover and Hazelrigg. The map though does not show any structures on the land, indicating they were probably living elsewhere. Sometime between 1880 and 1900, Charles left his farm and moved to the nearby city of Lebanon, Indiana. He lived there until his death from complications from dysentery, at the age of 77. He married Mary Jane Custer on January 16, 1851 in Monroe Twp., Jefferson Co., Indiana 14. 2 David W. Custer was born on March 4, 1854 in Monroe Twp., Jefferson Co., Indiana 31. He died on December 8, 1926 in Lebanon, Boone Co., Indiana 31. He is buried in the Cox Cemetery, Jefferson Twp., Boone Co., Indiana. Charles married second to Mary Margaret Threlkeld, widow of George Stewart and Elisha B. Powell, on December 18, 1888 in Boone Co., Indiana 27. She was born on October 19, 1835 in Boone Co., Indiana 31. She died on June 26, 1917 in Jefferson Twp., Boone Co., Indiana 18,31. John William Custer was born on August 12, 1852 in Monroe Township, Jefferson County, Indiana 5,31. He died on March 24, 1936 in Indianapolis, Marion Co., Indiana 6,31. He is buried in the Cox Cemetery, Jefferson Twp., Boone Co., Indiana. In 1868 (when he was 15 or 16), John moved with his family to Boone County, Indiana. John grew to adulthood in Boone County, where the family lived on a farm northwest of Lebanon. John first worked as a farmer, but became a school teacher sometime during the 1870s. He was working as a teacher as late as 1885. After this, John supported his family by working as a live stock dealer. John was also the assistant (vice) postmaster for Hazelrigg, Indiana. In 1882, John was married to Elizabeth Taylor, who was raised on a nearby farm. They raised a family of one son and three daughters. In 1904, John and his family moved from their rural farmhouse to Indianapolis, Indiana. In Indianapolis, the family lived in at least four different rented homes between 1904 and 1920. In Indianapolis, John continued to work as a live stock (poultry) dealer, but that vocation did not last long. During the early 1910s, his occupation switched to the business world. Over the next 20 years, he worked in various capacities as a clerk - for a gas company, for a railroad company and finally for the Central Press Clipping Bureau, where he worked with his son-in-law Harry Dragoo. John's wife died in 1916, and he afterwards lived with his daughter June Dragoo and family. He continued living with June's family until the early 1930s, when he moved in with his daughter Louise Wadleigh and family, who also lived in Indianapolis. In his youth, John had been a Presbyterian, but had become a Christian Scientist before his death. He was a member of the Masons and also the McGuffey Club and Fifty-Fifty Club. In his old age (during the 1920s), John took up the hobby of ballroom dancing. He eventually became a prominent ballroom dancer and won prizes in several dance competitions. In about 1927, he was credited with a perfect execution of waltz steps. John died of heart disease at the age of 83, at his daughter's home in Indianapolis. John was married to Elizabeth Romona Taylor on April 26, 1882 in Jefferson Twp., Boone Co., Indiana 7,27. 1 Charles Sumner Custer was born on July 4, 1886 8,29,31 in Jefferson Twp., Boone Co., Indiana. He died on October 25, 1948 in Indianapolis, Marion Co., Indiana 8,31. He is buried in the Crown Hill Cemetery, Indianapolis, Marion Co., Indiana. He usually went by his middle name, Sumner. He lived with his family in Indianapolis, Indiana from 1904 to 1913. Then from 1913 to about 1926, he and his wife lived together in Cincinnati, Ohio. From about 1926 to about 1931, he and his wife lived in Indianapolis, Indiana. Then from about 1931 until 1948, Charles and Lena lived in Lexington, Kentucky. He died in Indianapolis while seeking medical treatment for his skin cancer. 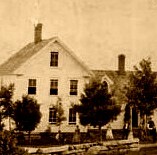 While living with his parents in Indianapolis, Sumner worked in various capacities as a clerk. Then for most of his adulthood he worked as a manager for various grain companies. During the 1940s, he and his wife apparently also lived in and managed the Phoenix Hotel in Lexington, Kentucky. 2 June Custer was born on June 20, 1888 in Jefferson Twp., Boone Co., Indiana 1,8,31. She died on February 12, 1967 in Indianapolis, Marion Co., Indiana 31. She is buried in the Crown Hill Cemetery, Indianapolis, Marion Co., Indiana. Before her marriage, June worked as a stenographer for a packing company. June and Harry spent their entire married life together in Indianapolis, where they lived at 3802 N Graceland Avenue. Harry worked for the Central Press Clipping Bureau with his father-in-law, John Custer. 4 Mary Jane Custer was born on March 16, 1896 in Jefferson Twp., Boone Co., Indiana 1,8. She died on May 7, 1921 in Chicago, Cook Co., Illinois 8. She is buried in the Crown Hill Cemetery, Indianapolis, Marion Co., Indiana. Mary graduated from Shortridge High School in Indianapolis in about 1914. Afterwards she attended Butler University in Indianapolis where she graduated in 1917. After her marriage in 1917, they lived briefly in Indianapolis. In about 1919, they moved to Chicago. Mary died in childbirth giving birth to her second child, who was stillborn. Louise Elizabeth Custer was born on September 9, 1890 near Hazelrigg in Jefferson Township, Boone County, Indiana 1,2. She died on December 17, 1962 at the Mayo Clinic in Rochester, Olmsted Co., Minnesota 2,3. She is buried in the Crown Hill Cemetery, Indianapolis, Marion Co., Indiana. Louise spent the first part of her life on a farm in rural Boone County, Indiana. In 1904, when she was 13 or 14, she moved with her family to the city of Indianapolis, Indiana. In her youth, Louise was a long distance swimmer, swimming for the Hoosier Athletic Club and the Indianapolis Athletic Club. At some point in her youth, she attended the Central Christian Church Sunday School. Louise finished her high school education in Indianapolis in about 1908, probably at Shortridge High School. After this, Louise continued to live with her family and work outside the home. In 1908 she was working as a telephone operator for the Indianapolis Star. Sometime between 1908 and 1910, she began working as a secretary for the Sanborn Electric Company, where she worked for several years. In 1918, she was working as a stenographer for the Eli Lilly and Company and in 1920 she was working as a stenographer for the J. I. Case Plow Works. She continued working as a stenographer until her marriage in 1923. Louise was apparently a gifted singer. Throughout her early adulthood, she frequently sang on choirs as an alto. She apparently enjoyed traveling, often traveling to Chicago (where her sister Mary lived) or to Cincinnati (where her brother lived). 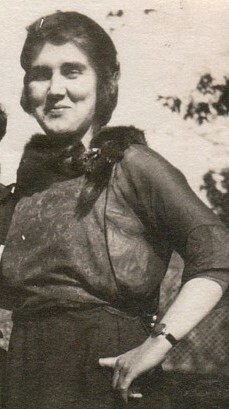 During the 1910s, Louise had become close friends with a couple named Odin and Eva Wadleigh who had recently moved to Indianapolis from New York. They met when Odin was hired as an engineer at the Sanborn Electric Company in 1912, where she had already worked for a few years. Sadly, Odin's wife Eva committed suicide in 1921. After this, Louise was supportive and comforting of Odin and his two sons. Eventually, they became engaged and were married in September 1923. They afterwards went on their honeymoon trip to New York. Louise and Odin continued to live together in Indianapolis for the duration of their lives. After the marriage, they lived together at 3030 North Delaware Street. Then in about 1943, they moved to 4220 North Rolland Road in the Wynnedale neighborhood of Indianapolis. She was living there at the time of her death. 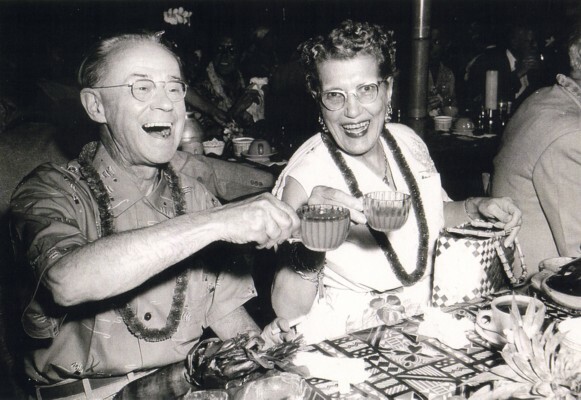 After her marriage, Louise and Odin continued to travel; they went on trips to Hawaii, Florida and New York. 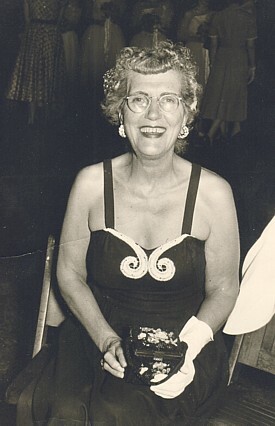 Louise was active in a variety of clubs and organizations including: Indianapolis Republican Women's Club, Magazine Club, Daughters of American Revolution (DAR), the Bulldog Club and the Parent-Teacher Association. During World War II, she was an active member and volunteer of the American Red Cross Canteen. At the time of her death, Louise was a Christian Scientist (even though she was raised as a Presbyterian, for some time went to a Universalist church, was briefly a Quaker, and was also probably a Methodist). Louise was an energetic and loving woman, who doted on her three sons and her nine grandchildren. She was affectionately called "Dudu" by her grandchildren. Louise suffered from cervical cancer in her old age. She eventually went to the Mayo Clinic in Rochester, Minnesota, where she died in 1962 at the age of 72. She married Odin Francis Wadleigh on September 1, 1923 in Indianapolis, Marion Co., Indiana 4. 8. Curtis, Grace F. Fahl-Fall and Allied Families. The Mercer Co., Ottumwa, IA, 1961. 16. Custer, Milo. Custer Genealogies. M. Custer, Bloomington, IL, 1944. 25. O'Byrne. Soldiers and Patriots Buried in Indiana. Library of Congress. 28. Death certificate of Nancy E. Bell, 1918, Stark Co., Ohio. 32. Tombstone inscriptions, Greenlawn Cemetery, Franklin, Indiana. Custer, Milo, Custer Genealogies, Bloomington, IL, M. Custer, 1944.